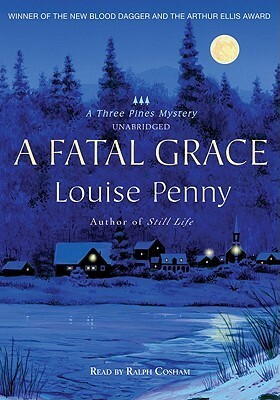 I'm reading A Fatal Grace. Peter laughed with the others but was careful not to catch anyone's eye. Privately, beneath his layer of white skin, Peter agreed with CC. Emotions were dangerous. Emotions were best hidden away beneath a calm and peaceful veneer. Ominous and intriguing!! Happy weekend!